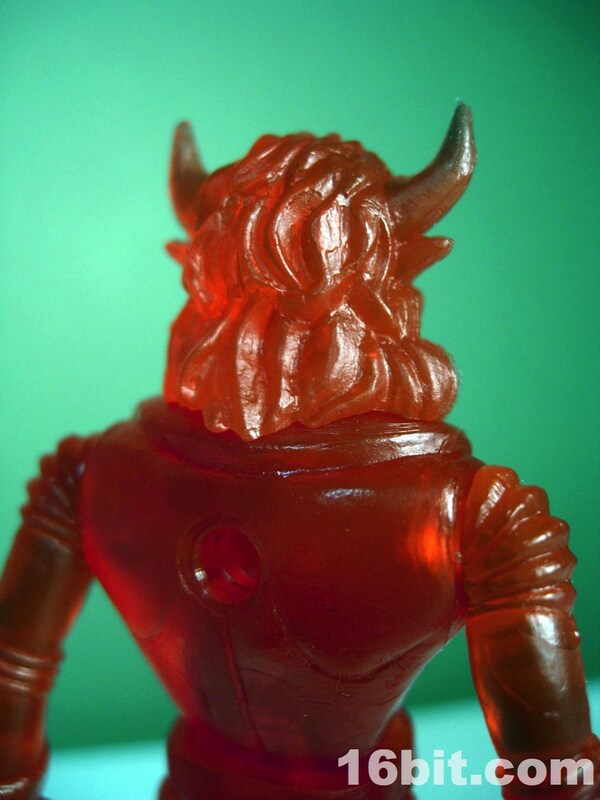 The redder, the better! 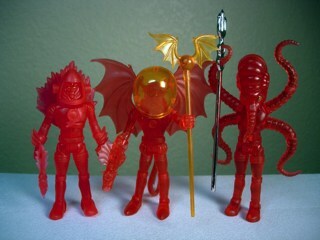 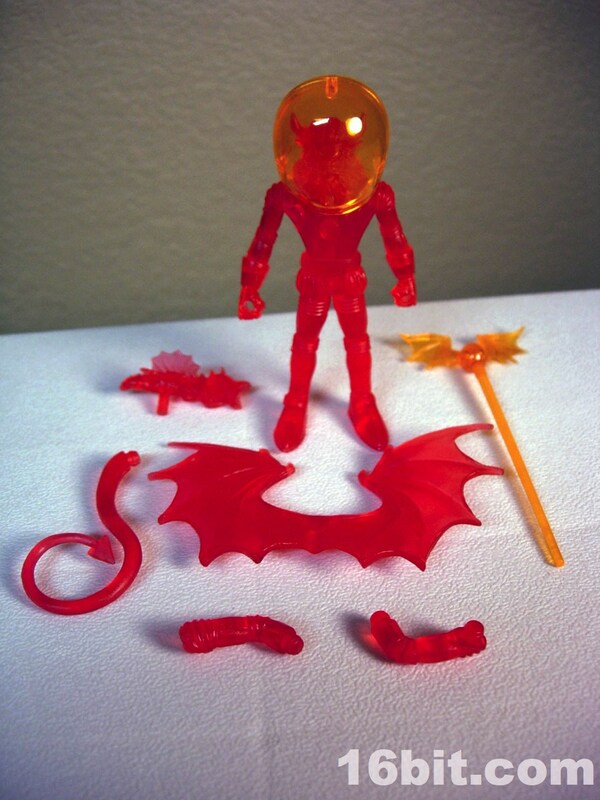 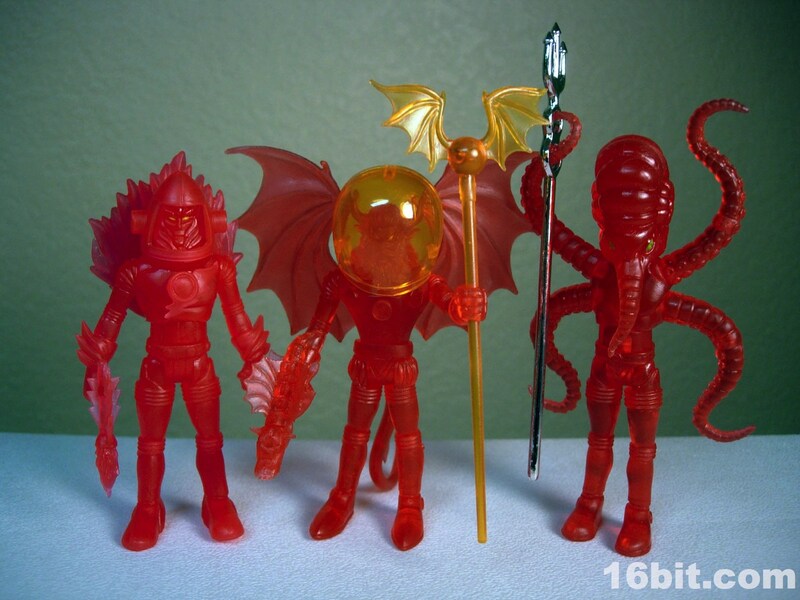 I expected the first clear release of the Outer Space Men Mystron, the Man from Hollow Earth to be red and the Horsemen surprised me by making it clear, smokey grey. 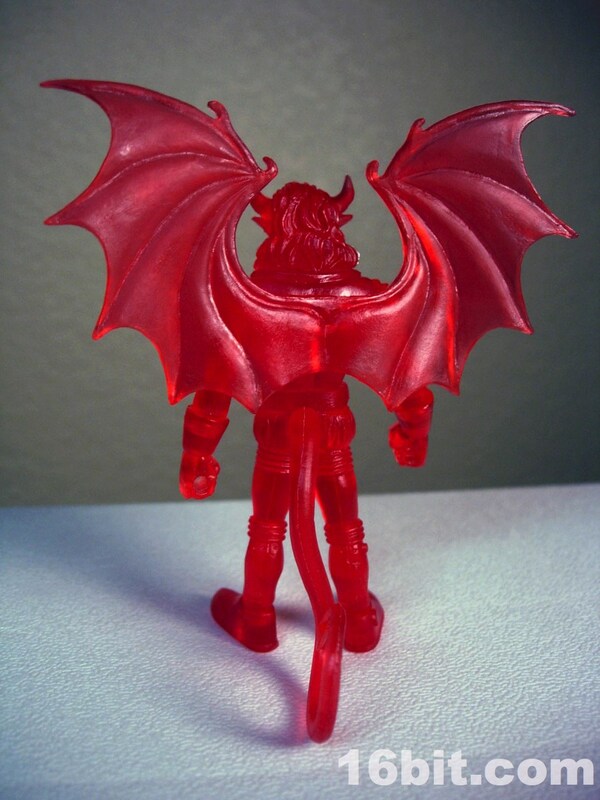 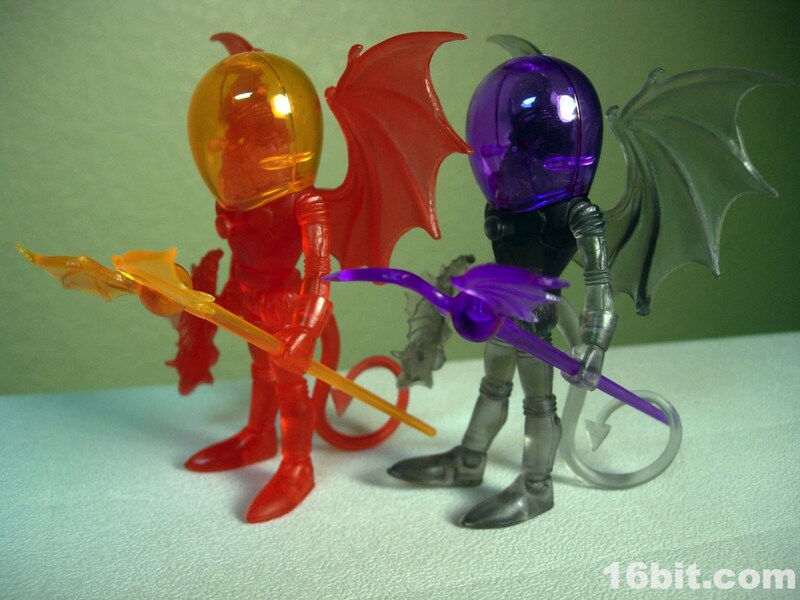 Thankfully, they made the devilish being in a really nice clear red for the second release, more or less satisfying my demands for alternate color schemes until the real, painted version shipped. 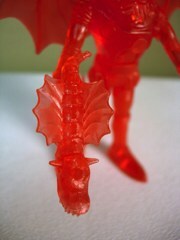 As a roughly 3 3/4-inch action figure, he's just over 4-inches at the wings' tallest point. His arms, legs, and hands share construction with numerous other figures but the torso, head, feet, tail, wings, and accessories are unique to this figure as of now. 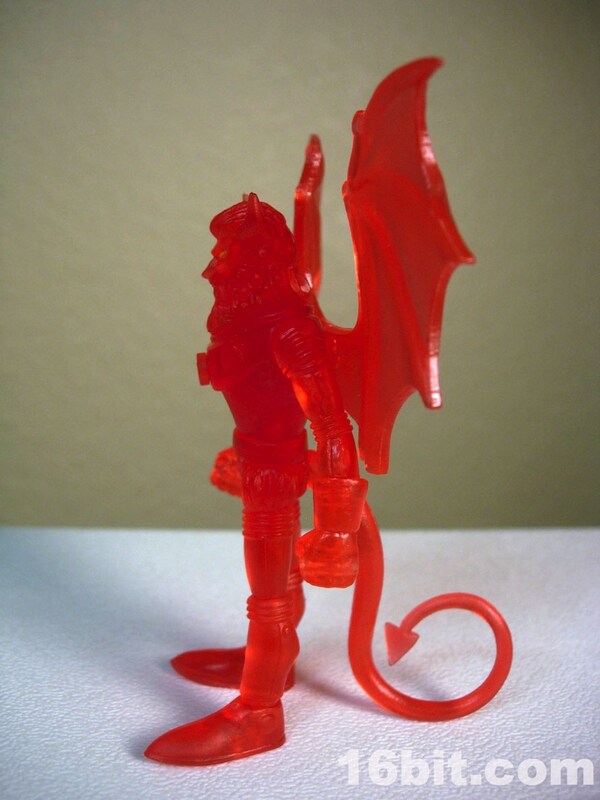 With the addition of the tail working as a stand (or something else if you turn the waist around), he has no problems standing. Sitting is, of course, troublesome unless you remove the tail and wings... but beyond that, he's a really well-made action figure. Oh-- and the wings on mine were tough to get on, but I assume that's a fluke as the original clear black release was problem-free in this capacity. 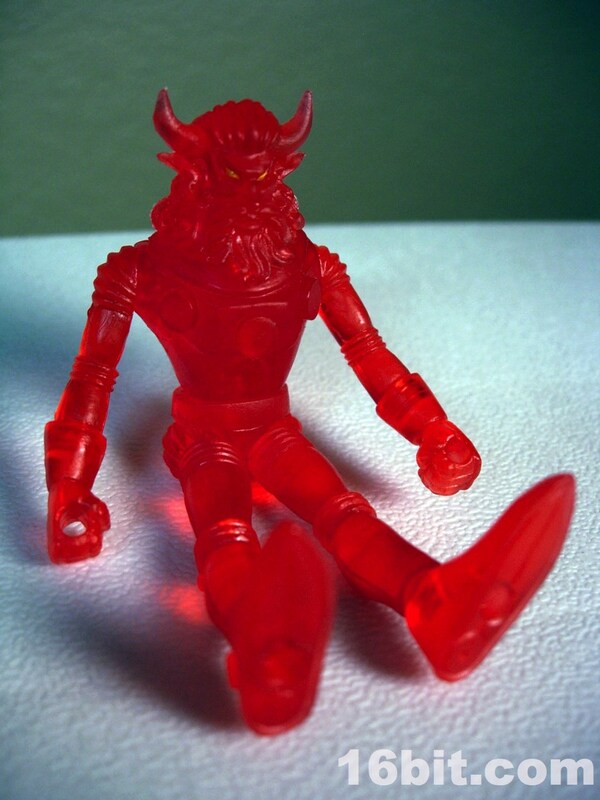 As with the other figures in the line, he can swap his joints with other Glyos-compatible figures for customs or whatever. 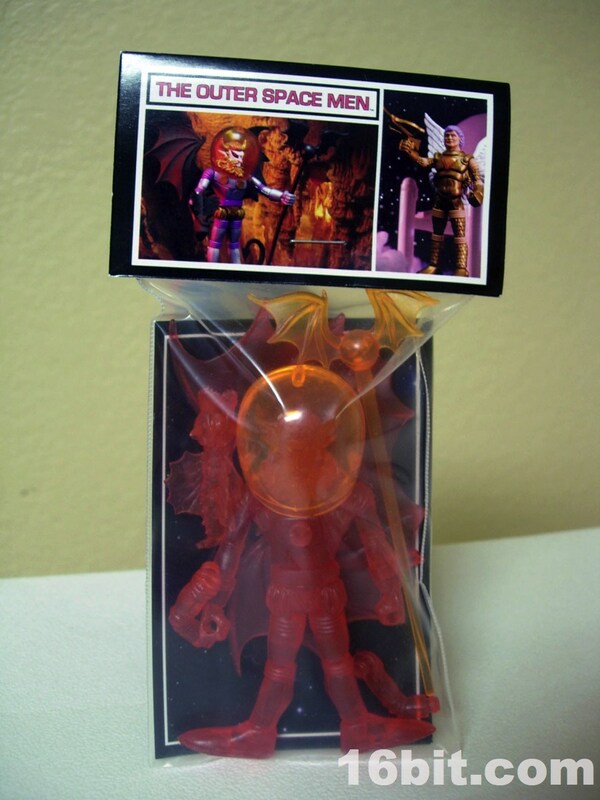 Unlike the previous release, this one includes bonus bent arms-- so you can have him better hold his accessories, if you're so inclined. I'm really happy they put these back in, especially as the previous release felt lacking without them. 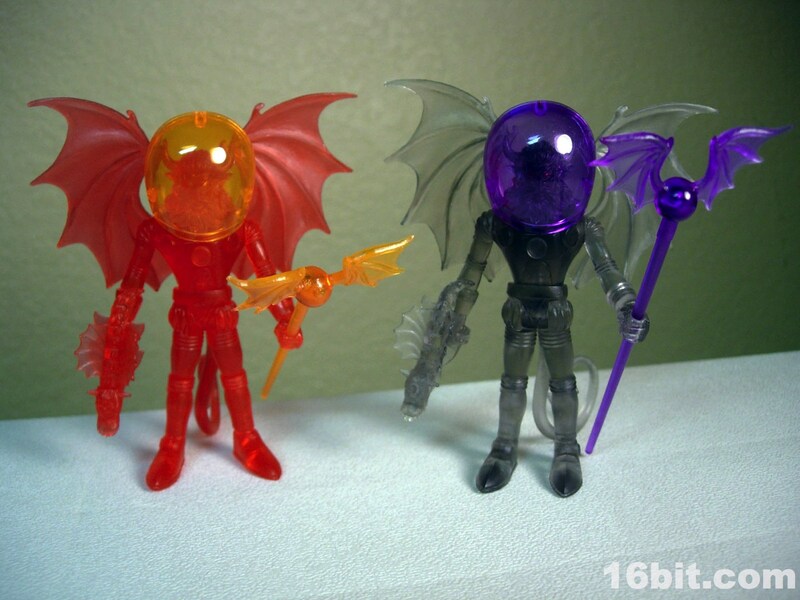 And now that they raised the prices, I'm very happy they didn't leave them out. The gargoyle gun is back, as is the winged orb staff, both of which are neat and would be neater if painted. 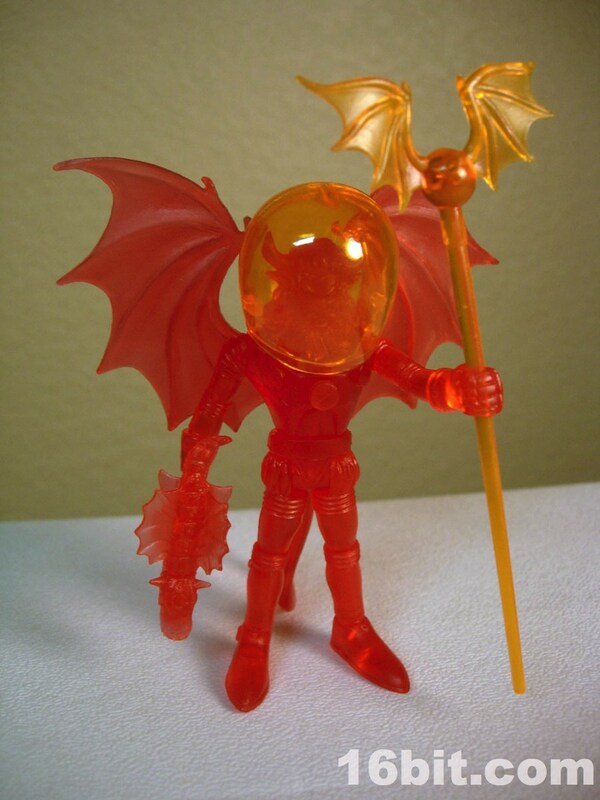 The 2-piece helmet is cast in clear orange ABS plastic, and pops off fairly easily if you want it to-- but mine hugs the head nicely, so that's a plus. 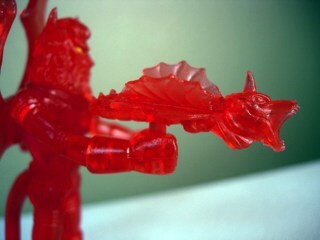 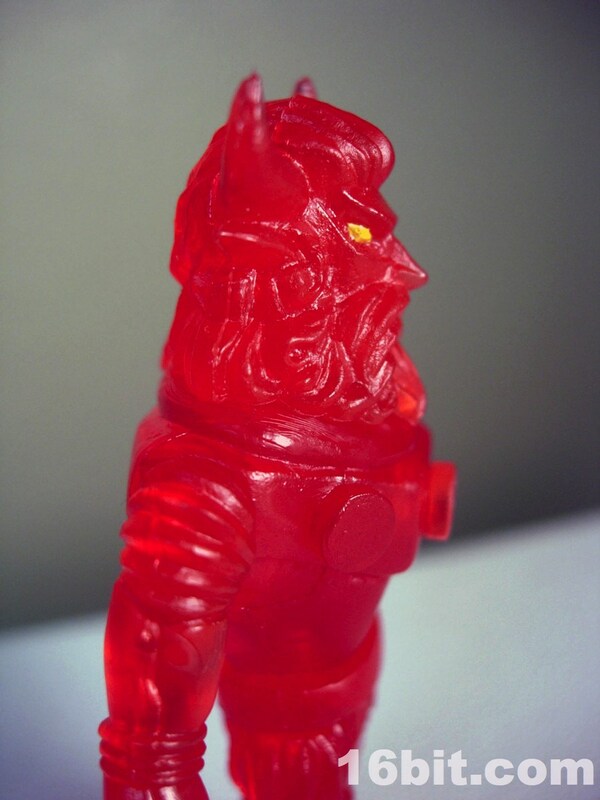 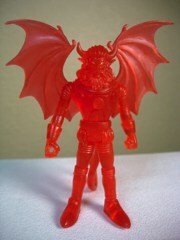 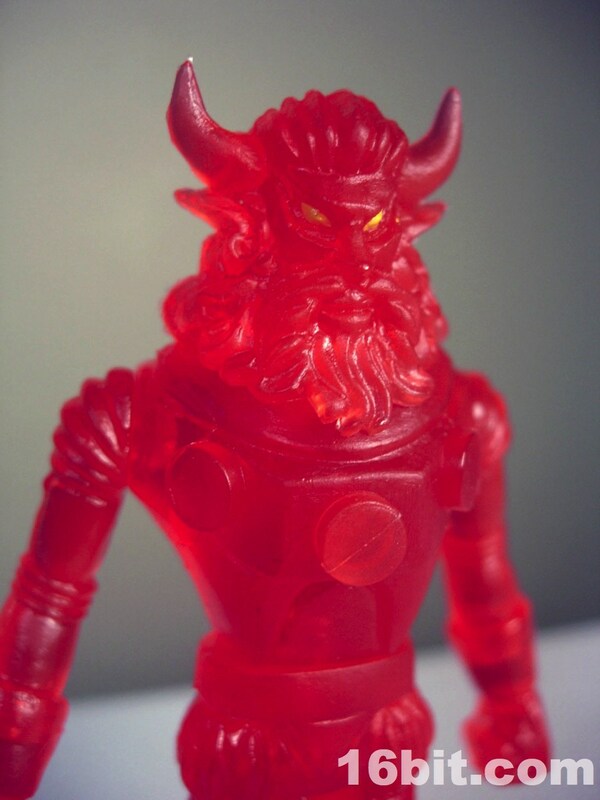 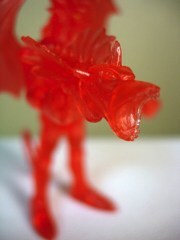 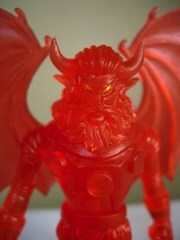 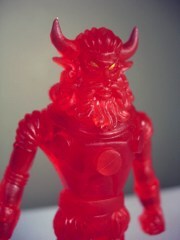 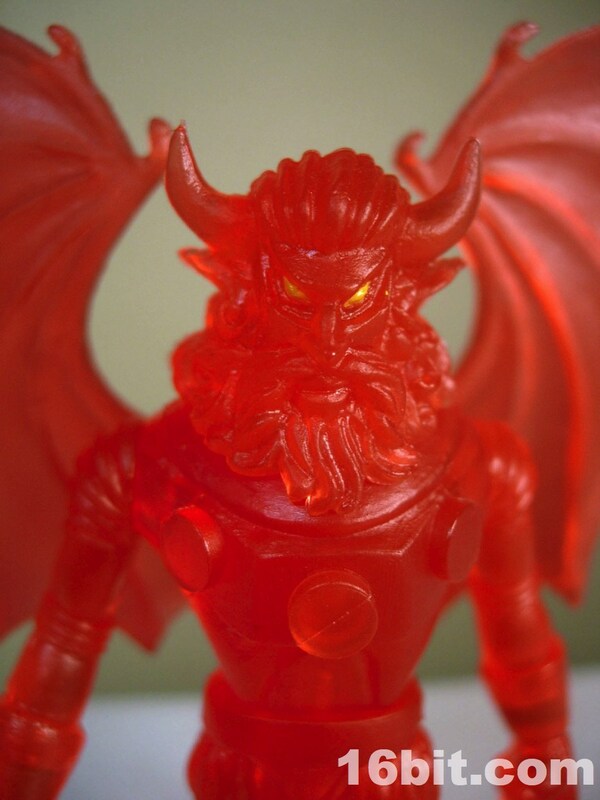 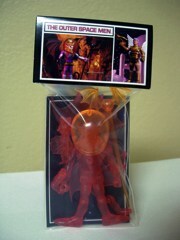 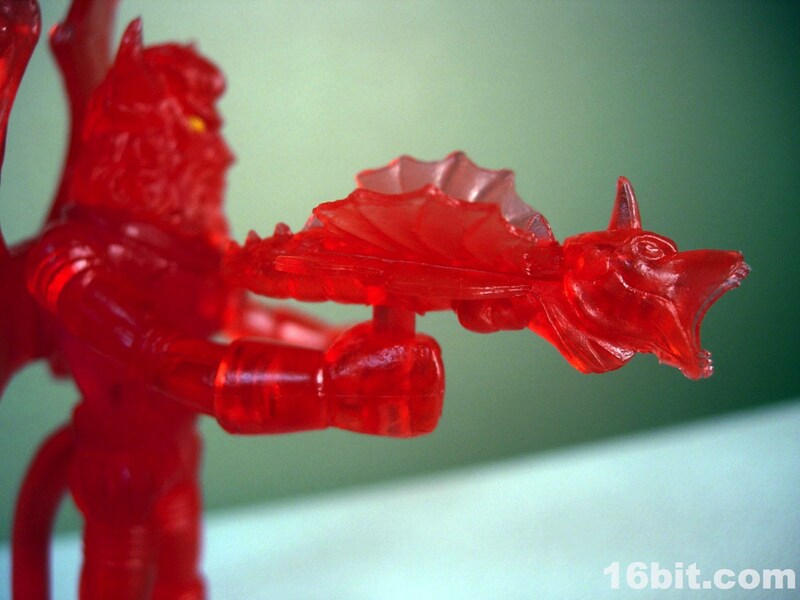 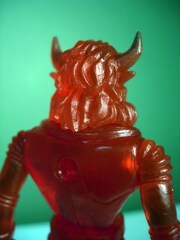 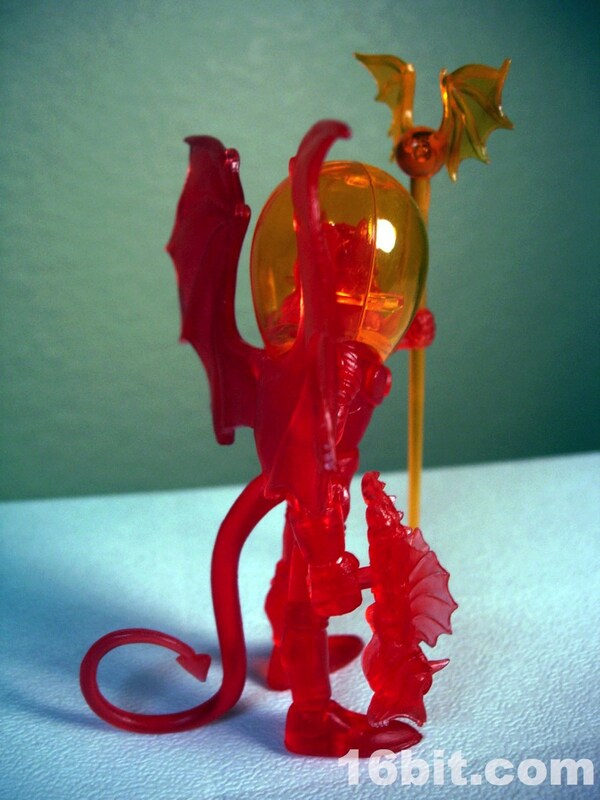 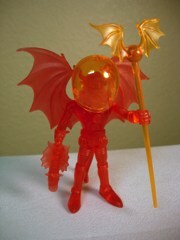 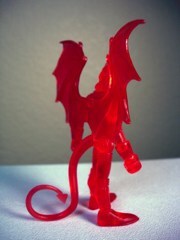 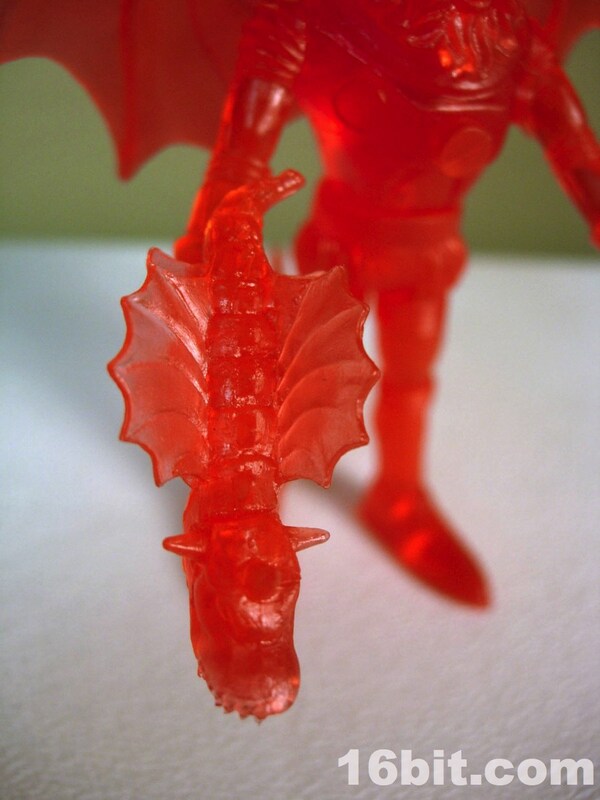 The figure is cast in red, with yellow eyes painted to give him a menacing, yet Micronauts-esque visage. 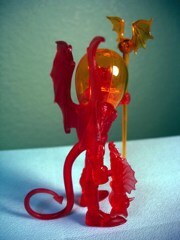 Of the Betas, this is my favorite. 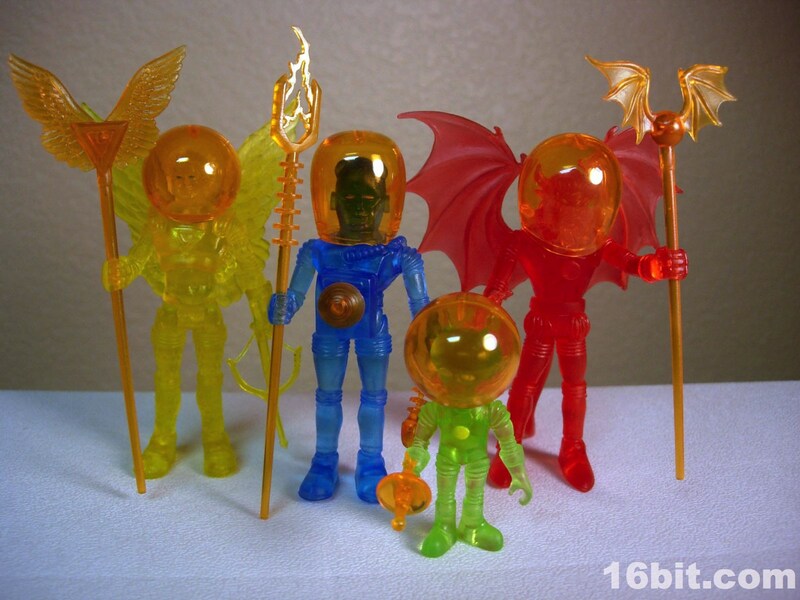 The blue Electron+ is also fantastic... but I was kind of disappointed by Alpha 7 being a slightly different shade of green while Commander Comet was yellow rather than yellowish orange last time. White would be neat, or an opaque color of some sort. 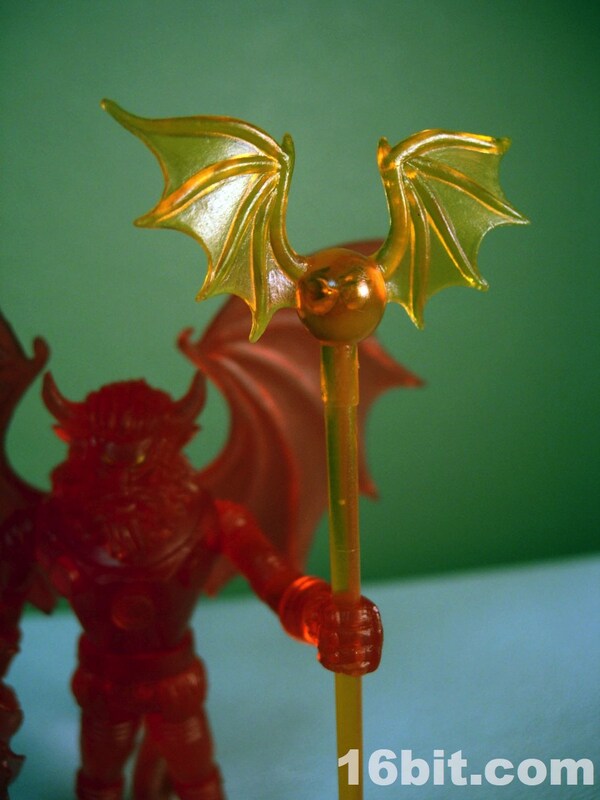 Anyway, this is the one to buy if you ask me-- I mean, in addition to the painted one. 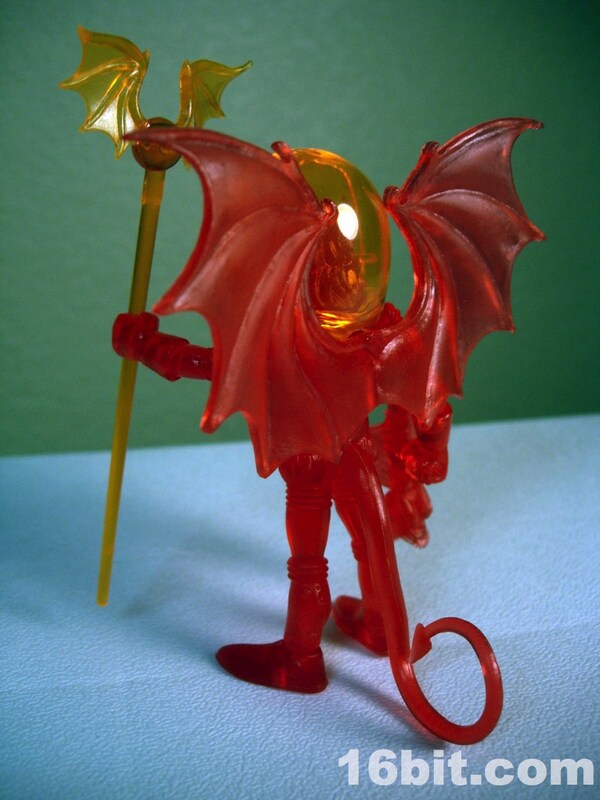 I think this one captures the spirit of the devilish alien in a way previously unseen with the line, so I would say go get it. If you have the means, and like clear toys, don't wait-- get one.